In addition to these, there are also a couple of Dome table clocks and pocket watches. 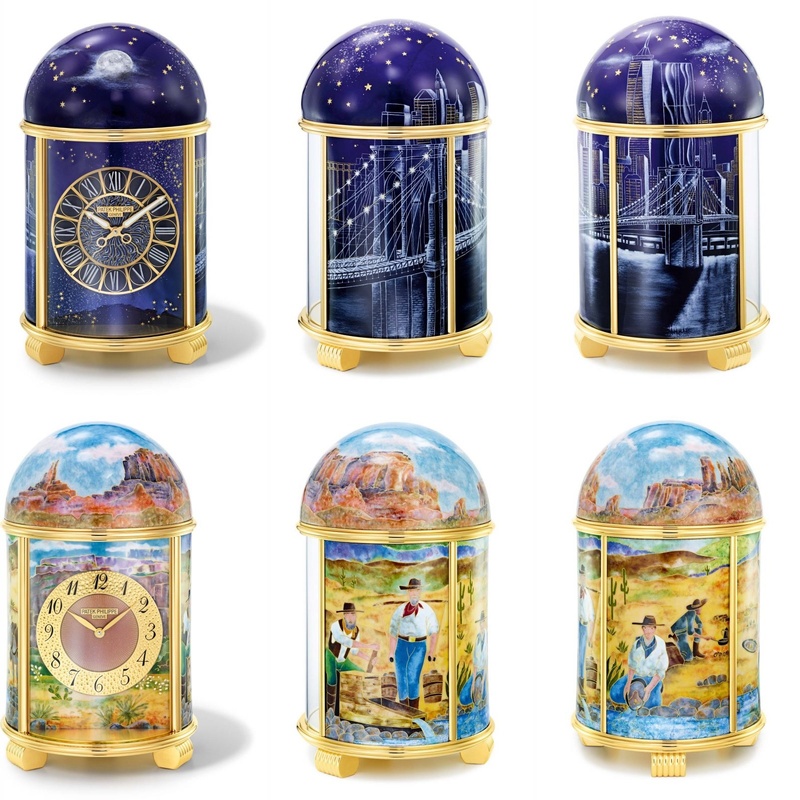 The clocks feature the use of enamel (including cloisonné) and Limoges porcelain in themes of ‘The Gold Seekers’, ‘Brooklyn Bridge by Night’, and ‘Baseball’. The pocket watches themes ranging from nature (Wild Horses’ ‘Yosemite Valley’, ‘Napa Valley’) to U.S. Achievements (‘First Steps on the Moon’, ‘Manhattan-Brooklyn’), Mount Rushmore (‘Bald Eagle’), and ‘Portrait of an Indian’. The materials used to depict these include enamel, hand engraving, wood marquetry. There are some more unexpectedly themed Calatravas with distinctive dials. The ‘Grand Canyon’ has a depiction of the same using wood marquetry, and enamel is the material of choice for the miniature paintings on the ‘Rodeo’ and ‘Jazz’ models. An homage to the ‘Sheridan style’ leather work is the inspiration behind the final special edition, with an engraved dial beneath golden brown transparent enamel. The exhibition closes on July 23, 2017. 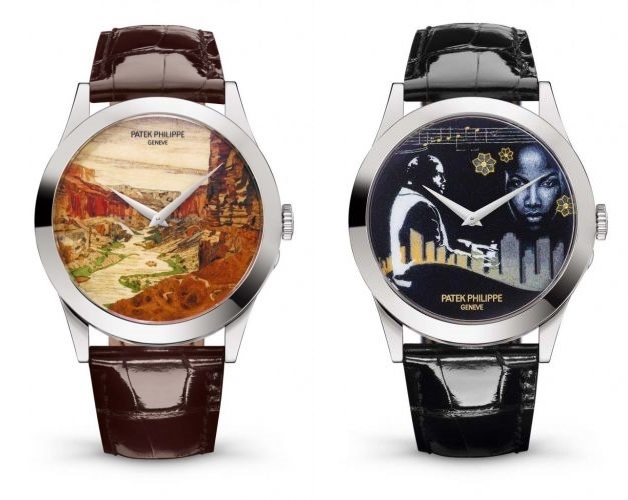 For more details of these timepieces, click here.